Dr. Doug Hirschhorn is a Performance Advisor who is an author and frequent contributor to NBC, CNBC, CNN, MSNBC and BLOOMBERG. By applying the techniques learned in pursuing a Ph.D. in Sport Psychology, Dr. Doug helps individuals and teams at Global Companies, Private Equity firms and Hedge Funds achieve excellence in their performance. Dr. Doug is internationally recognized as an industry thought leader, and regularly appears on television and in print. Dr. Doug's first book, The Trading Athlete (John Wiley & Sons, 2001), focused on how to use strategies from Sport Psychology to improve trading performance. His second book, 8 Ways to Great: Peak Performance on the Job and in Your Life, was published in 2010 by Penguin/G. P. Putnam’s Sons. It was released as an audiobook in January 2011 and also translated in Mandarin. His third book, Portfolio Manager’s Playbook, was published in 2015. A former athlete and floor trader, Dr. Doug’s path to Performance Advising was not a direct one. As the catcher and captain of his Division I college baseball team, Dr. Doug intended to pursue a coaching career. After a detour spent as a commodities trader on the trading floors in Chicago, Dr. Doug went back to school to earn the advanced degrees necessary to become a baseball coach. It was in his Masters degree program in Sport Psychology that Dr. Doug experienced his ‘aha!’ moment: If the psychological principles he was learning could be applied to athletes, why not try them out on the financial industry - a similarly competitive breed? The idea worked. 18 years later, Dr. Doug is an in-demand public speaker and globally recognized Performance Advisor to the elite. Dr. Doug received his B.A. from Colgate University in 1994, and went on to earn an M.S. in Exercise Science in 2000 from Southern Connecticut State University. In 2005, he received his Ph.D. in Psychology/Sport Psychology from Capella University. 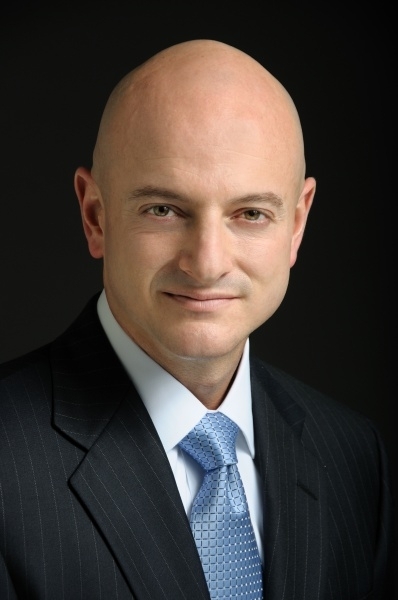 He is the Chief Executive Officer of Edge Consulting LLC, a firm specializing in Performance Advising for individuals and teams at Global Companies, Private Equity firms and Hedge Funds.